Hotels in Las Vegas and around the country look to Boulevard Supply for hotel supply equipment that includes lobby stanchions, indoor and outdoor signage, valet equipment, portable railing systems, waste receptacles, bellman carts and traffic cones for hotel parking lots. We supply numerous hotels around the country with both retractable stanchions for their lobbies, entrances, pool areas, outdoor decks and event areas as well as high quality post and rope stanchions for high end, luxury hotels and VIP areas. We also have portable indoor and outdoor signs, traffic cones and delineators for valet areas and parking management services. From hotel check in to the buffet lines, we help you maintain control of your guests while on property. Affordable retractable stanchions, ADA compliant stanchions and railing systems, luxury post and rope for 4 and 5 star hotels and resorts. We also have outdoor stanchions and crowd control products for decks, patios and pool areas. 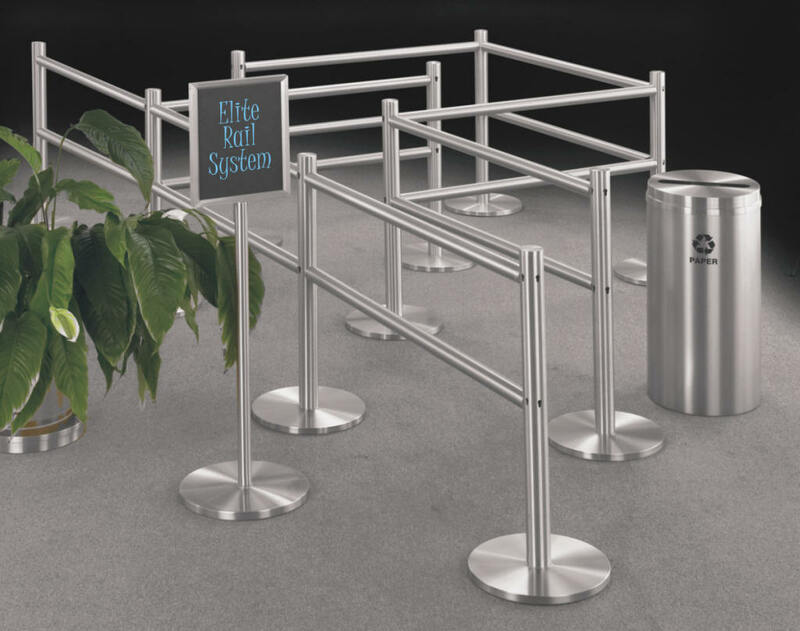 We offer retractable stanchions, post and rope and high quality trash and recycling receptacles for hotels lobbies. Keep control of your parking lot, valet areas and parking garages. We have various sizes and colors of traffic cones and delineators. We can ship markers, speed bumps and parking blocks directly to you. Portable signage can be customized to your hotel or resort. We have a variety of evaporative coolers and misting fans to choose from to cool outdoor patios, decks and pool areas. Boulevard Supply wants to be your hotel supply company. We want your repeat business. Specializing in crowd control and traffic control, we can provide the hospitality equipment your hotel or resort needs to make an impression and maintain the standards that you and your customers expect. We have provided hotel supply equipment to multiple Marriott Hotels, Hilton Hotels, Westin Hotels and countless others around the USA and Canada.